As a Green Party mayoral contender I’ve watched with interest the lively debate that has sprung up on the blog pages of the New Statesman, discussing what Greens should do to maximise success in the London elections next year. After [Jonathan Bartley’s](http://www.newstatesman.com/politics/2015/07/greens-should-fear-zac-goldsmith) suggestion that Zac Goldsmith is a threat to the Green Party vote and [Sian Berry’s](http://www.newstatesman.com/politics/2015/07/greens-should-relish-not-fear-chance-take-zac-goldsmith) retort that most Green voters “would rather grate off their nose” than vote for Zac, [Adam Ramsay](http://www.newstatesman.com/politics/2015/08/greens-cant-be-all-things-all-people-just-ask-nick-clegg) has joined the debate, opposing a strategy “to appeal to everyone”. Now I’m not sure such a strategy has even been mooted, let alone discussed or agreed. Having spent the last six years working with Islington Greens building our Party, campaigning on the doorstep and getting elected last year as sole opposition councillor to 47 Labour members, I care desperately that we get this right. 2016 could, and should, be a break-through election for the Green Party. The London elections have huge potential for us because with a proportional voting element, voters don’t seem to feel compelled to stick to the comfort blanket of traditional party lines. It’s a great moment for Greens to step forward with a radical vision for dealing with mainstream problems. I absolutely support the idea that we need to work hard to take along those disenchanted with the political system (young people, ethnic minorities and those on lower incomes) but the Greens have the potential to go so much further than that. This is not in the cynical pursuit of electoral gain, but is the right thing to do. Green solutions to London’s problems have the potential to catch the imagination of people of very diverse backgrounds, circumstances and indeed voting histories. 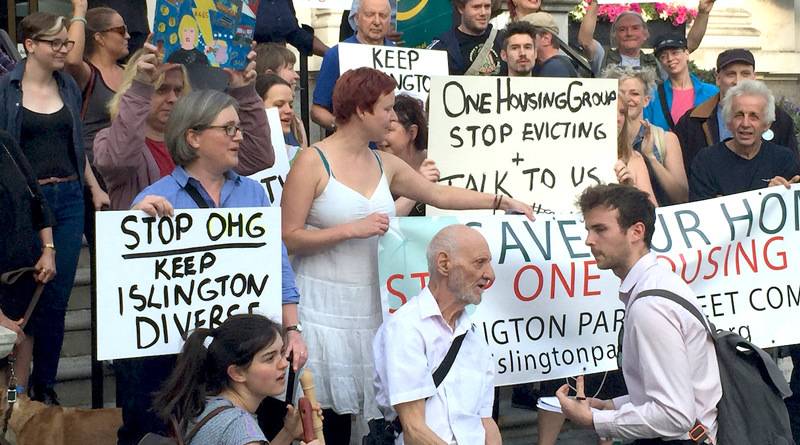 Ideas that seemed radical even ten years ago have hit a tipping point where huge parts of the London electorate are ready for big changes in the way that housing, transport and other services are organised. We’ve all seen the way that the former hostility to 20mph limits even on quiet side roads has all but evaporated with proposals for Transport for London main road trials receiving a positive welcome. More importantly voters are looking for big ideas. They know something is profoundly wrong and they are looking for a party that can describe a paradigm shift in the way we do politics. Of course we are anti-austerity, but to focus just on that is to be trapped in a battleground created by the current Tory/Labour establishment. Our job as Greens is to paint an inspiring picture on the doorstep and in our communities that enables people to trust us to deliver a better city. Greens must beware the false dichotomy between popular and radical messaging. Both Sian and Jonathan are pointing to important issues but it is a needlessly polarised debate. We need to see beyond a linear ‘left-right’ spectrum, unite and build an ever bigger coalition of people able to think boldly and differently about solving the problems of London and beyond. Having fought a General Election campaign in May in Islington North that trebled the Green share of the vote (against Jeremy Corbyn, no less), I have seen the evidence that London voters do not just vote in their own narrow financial interests. We should credit people with the understanding that a city run in the interests of the common good is better for everyone, and people will vote for that if we present a sincere, coherent, compelling vision. The Greenness of the Green party is something whose time has come. We need to step up and paint an ambitious, optimistic picture of a radically Green London which shows you can run a great world city (and by extension, a whole country) in a way that reduces inequality, supports diversity, and is inclusive, fair and environmentally sustainable.